In our discussions with federal employees working under smartphone bans at the Pentagon and other high-value buildings, there’s a common theme that emerges: frustration. Workers are frustrated because they can’t use their mobile devices in the office to keep in touch with friends and family. HR is frustrated because they have a hard time attracting employees who are willing to surrender their smartphones. And IT is frustrated because employees will flout a smartphone ban if it means ensuring mission success. 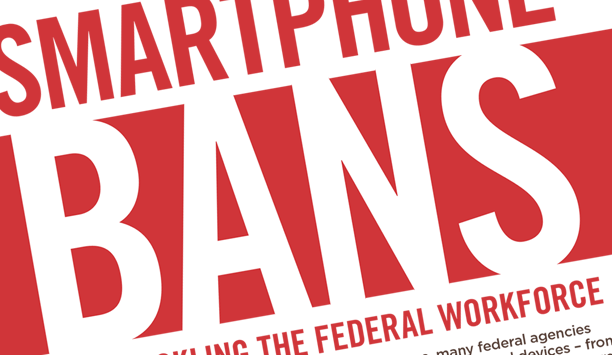 We wanted to quantify exactly how much of an effect these smartphone bans were having on the federal workforce, and the numbers we found are nothing short of startling. Productivity, morale, recruiting and even security are all negatively affected. Take a look at the infographic to learn more. Rather than face the adverse effects of outright smartphone bans, government agencies are now turning to the Privoro SafeCase™, a first-of-its-kind mobile security companion for smartphones that provides physical anti-surveillance protections. Agencies adopting the SafeCase can allow employees to once again bring their phones to work, fostering a happier, more productive workforce. How Many Smartphone Sensors Can You Name?